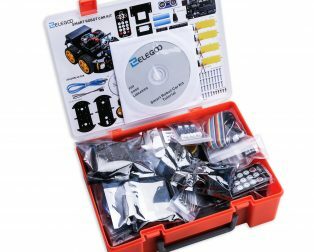 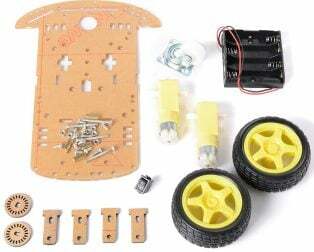 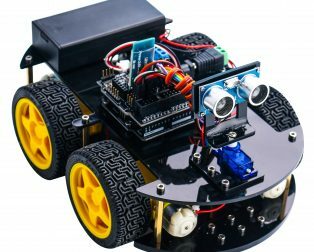 This REES52 DIY Intelligent Bluetooth Turtle Car Kit For Arduino Smart Car Learning is All in one kit for the DIY robot builders. 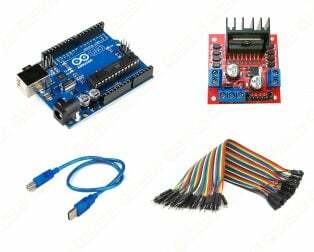 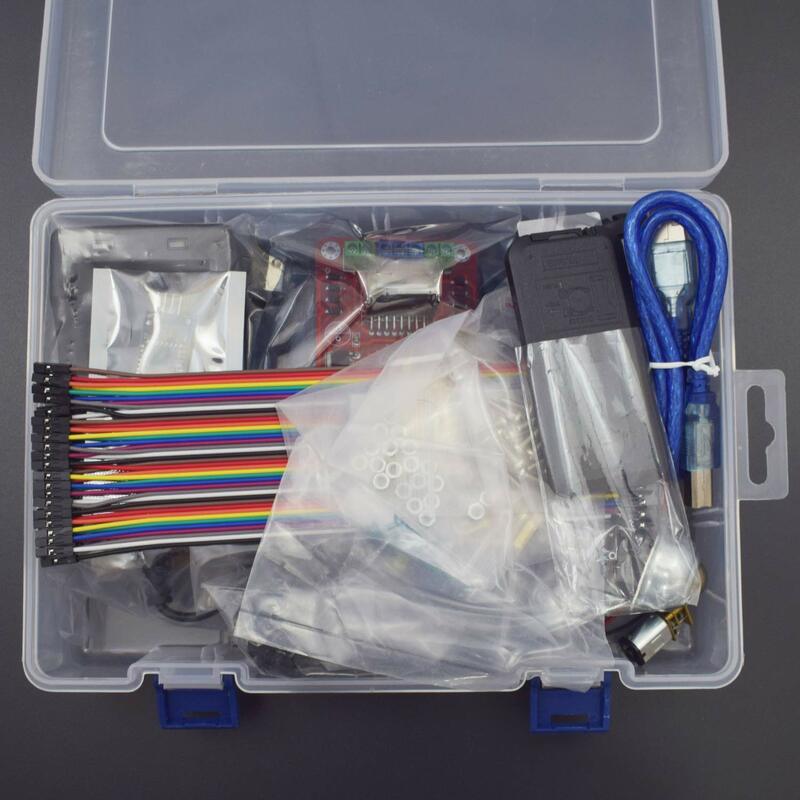 It consists of a microcontroller learning application development system, the Arduino microcontroller series ATmega – 328 p as the kit comes with Arduino Uno board and Its sensor shield board to mount various sensors and modules. 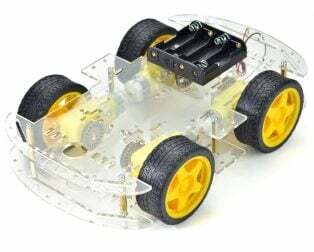 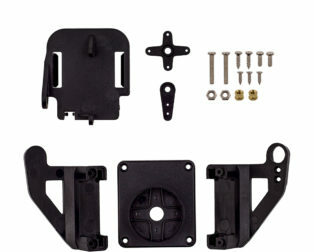 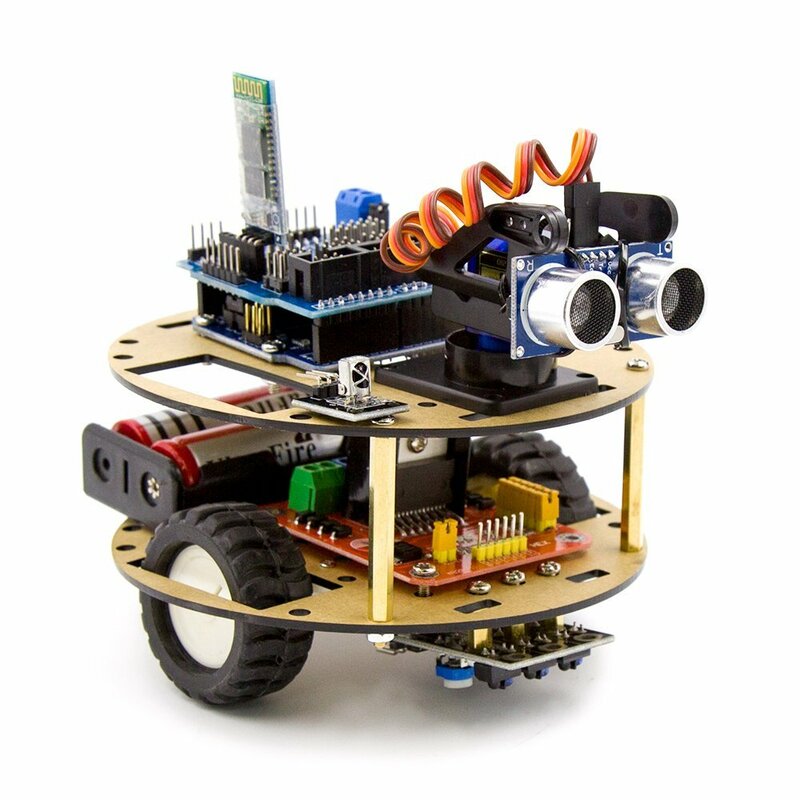 The comes with all essential sensors such as line followers, Ultrasonic sensor for obstacle avoidance, Bluetooth transceiver to control the robot with your phone, an infrared remote control and wireless remote control function, and suite contains a lot of interesting programs, and can expand the external circuit module, thus increasing the use function of the car. 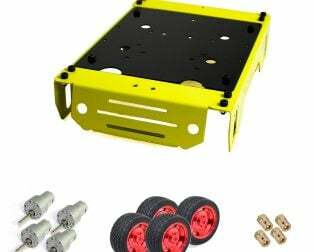 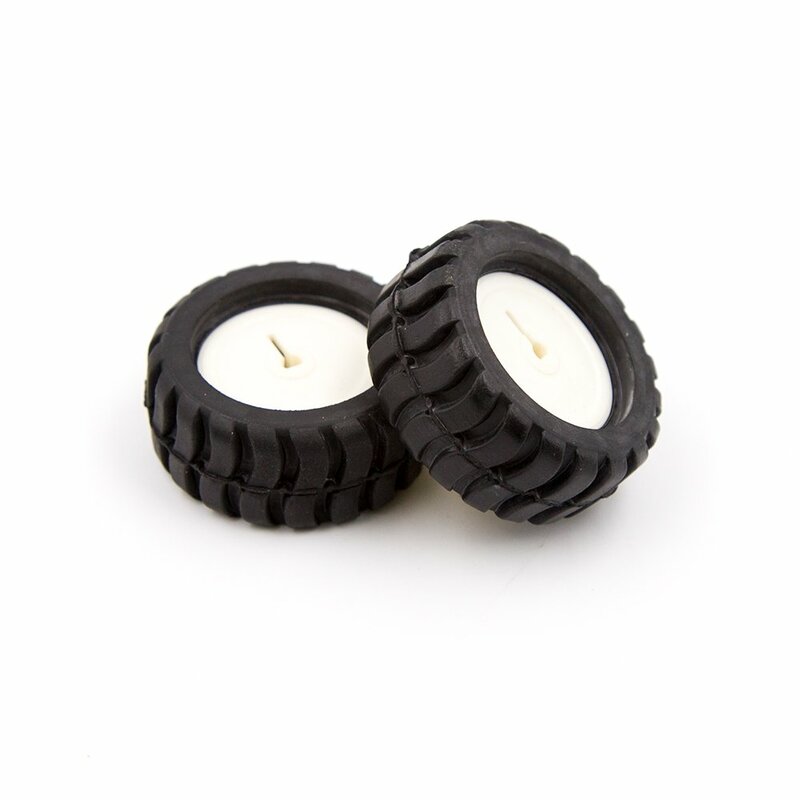 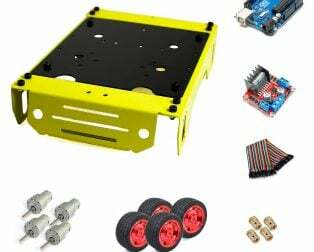 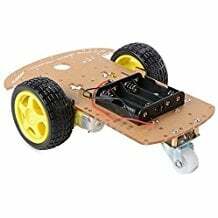 The kit also Includes 18650 Rechargeable batteries with Charger and Battery Holder to power your bot, and all required cables wires wheels and essential fittings mentioned in the package Includes section Below. 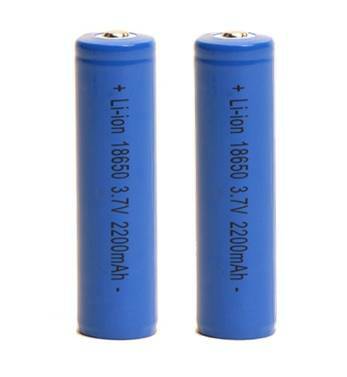 Voltage range: 1.5V – 12V. 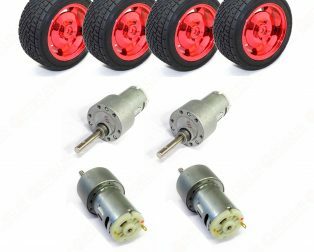 The motor shaft length: 10 mm. 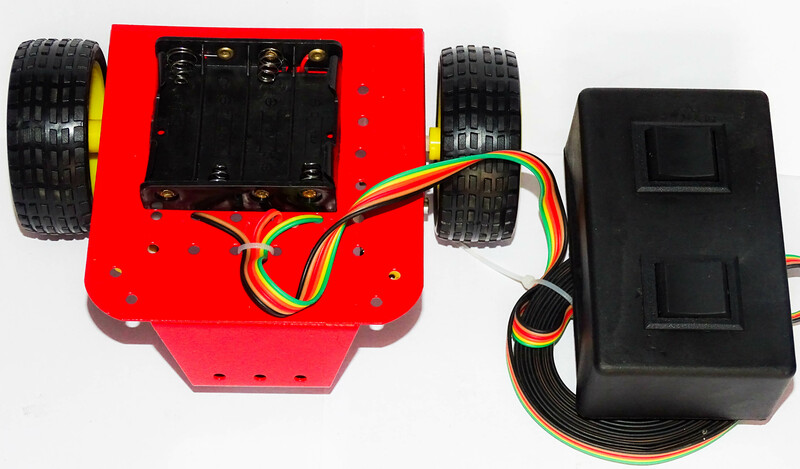 6.0V 50,100rpm/min. 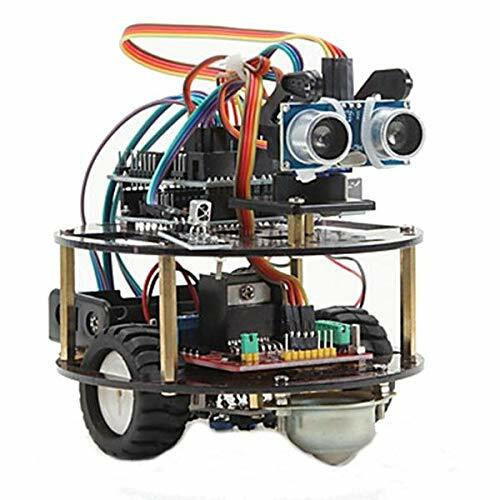 Control motor selection L298N drive module, and single-chip microcomputer real isolation. 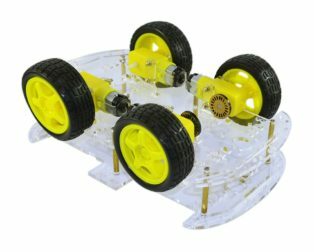 Three groups of line module, detection of the black and white line, higher precision, and fall prevention control is also available. 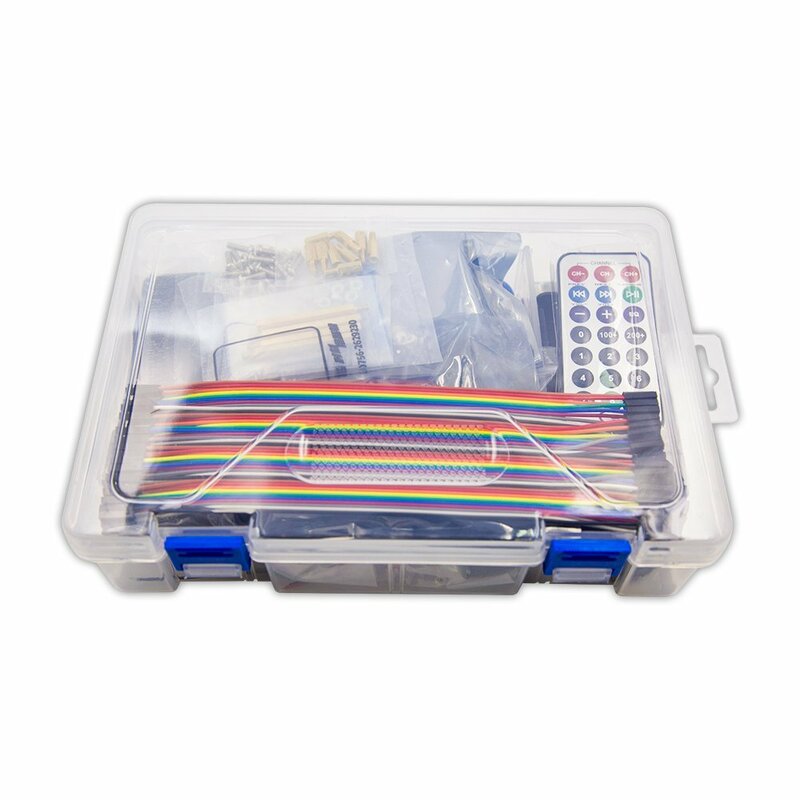 Infrared remote communication module, the remote control system of the smart car. 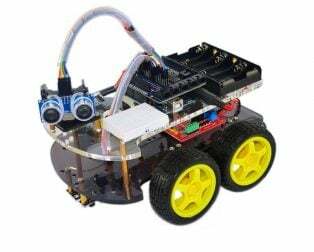 Bluetooth wireless module, can and mobile phone Bluetooth pairing remote-controlled robot. 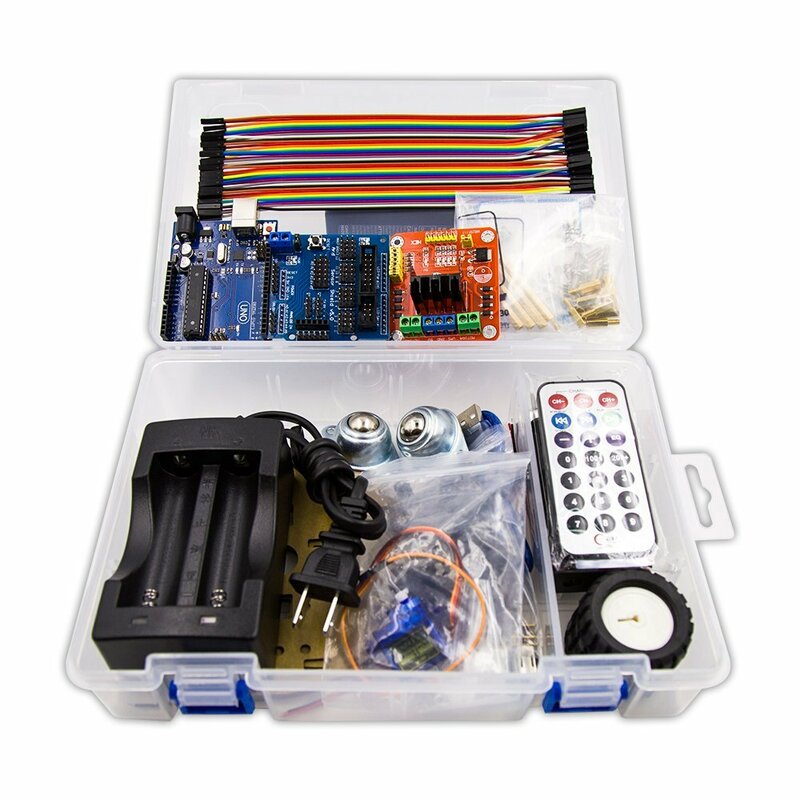 Note: IR Remote control Does not come with Battery.